Hi, my name is Doug Dexter. I am the owner of Glacial Lakes Taxidermy Studio. Glacial Lakes Taxidermy is a full service studio, both federally and state licensed, which enables me to mount any and all of your trophies. After operating as a part-time studio for 12 years, and the overwhelming support of my many clients, effective September 1, 2015 Glacial Lakes Taxidermy will become a Full-time studio. You can expect the same attention to detail, only with a quicker turn around time, my goal for most projects is 6 months. 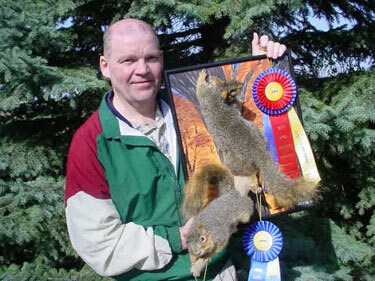 Taxidermy started as a hobby for me and has developed into a professionally operated business. I have competed on both state and national levels, receiving several awards for my efforts. The continuing education received at these competitions, keeps my work from becoming “stagnant”. “Preserving memories, one at a time”, is truly what I do at Glacial Lakes Taxidermy. Located 2 hours north of Sioux Falls, SD...2 hours south of Fargo, ND...22 miles east of I-29 on US Hwy 12.